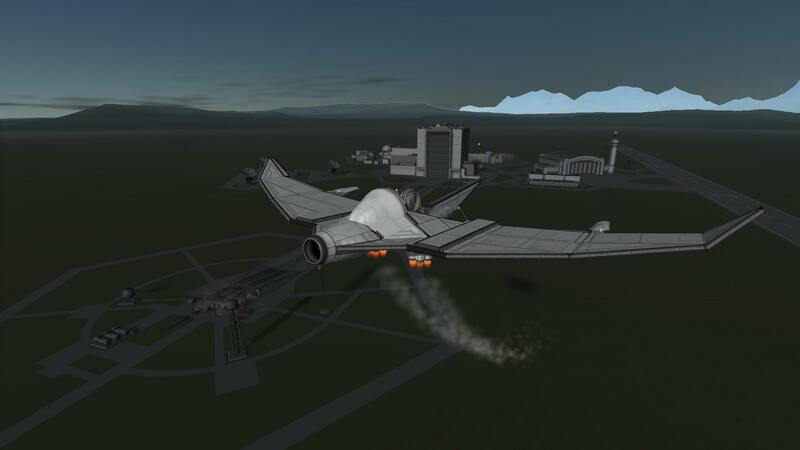 A stock aircraft called D-1 VTOL. Built with 218 of the finest parts, its root part is mk2DroneCore. Press 1 to go from VTOL mode to Horizontal flight. Press 2 to do vise versa.